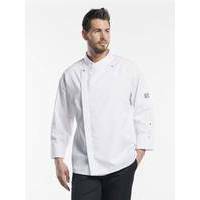 Experience the pleasant freedom of movement offered by this loose-fitting jacket. 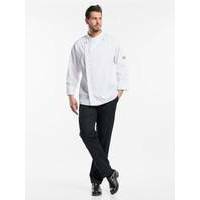 The Chaud Devant Chef Jacket Santino White has an elegant design. The fabric�s interwoven satin stripe, the blind fastening and the 2 visible mother of pearl buttens create an extremely stylish look.